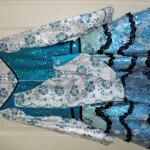 This dress is a sparkly sequinned turquoise and white dress. 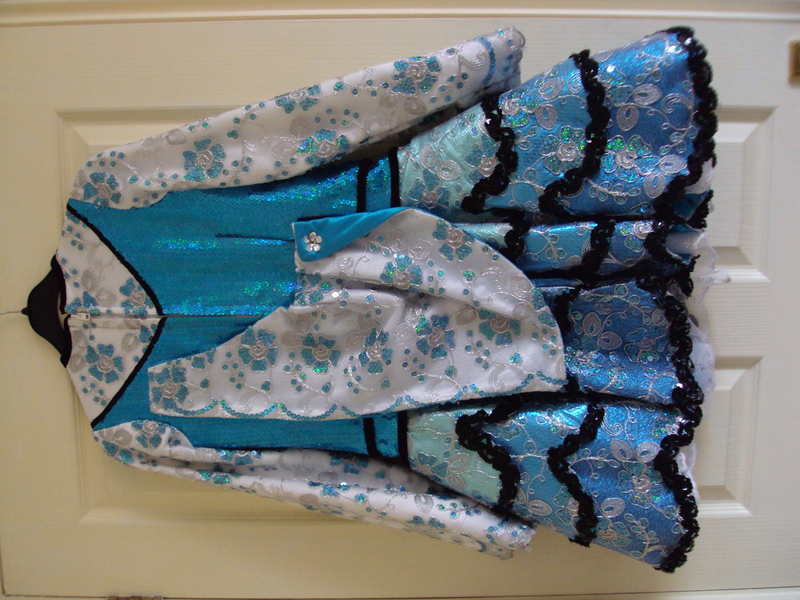 The inserts are white, covered with lacy material. 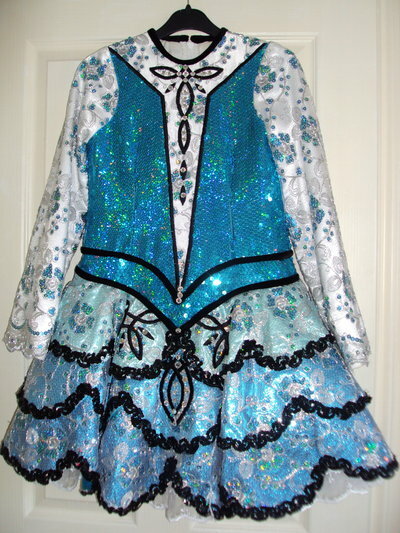 The pattern is embroidered with black celtic designs and dotted with swarovski crystals. 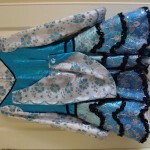 The skirt has three ruffled layers of different shades of turquoise. 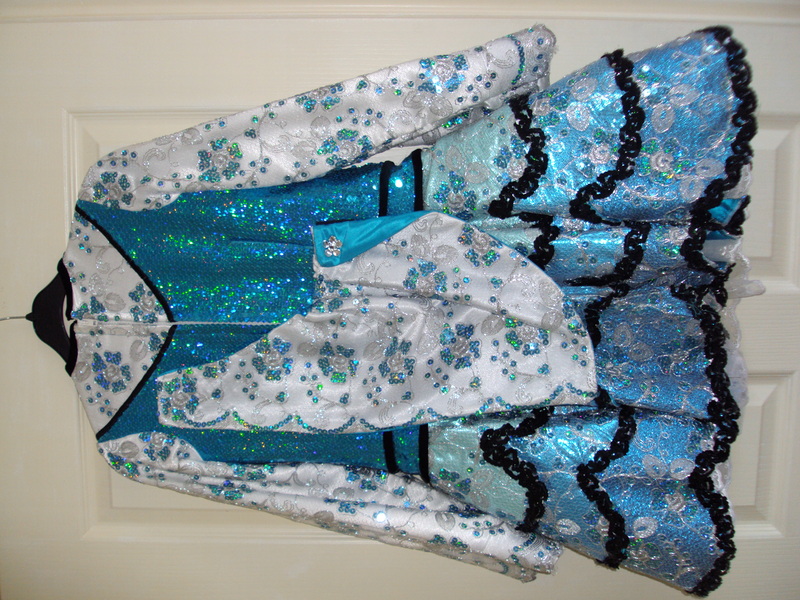 The shawl on the back is made from the same white/turquoise lacy material. We have a small headband made from fabric to match. The dress has a zip from top to bottom, which makes it easy to put on.